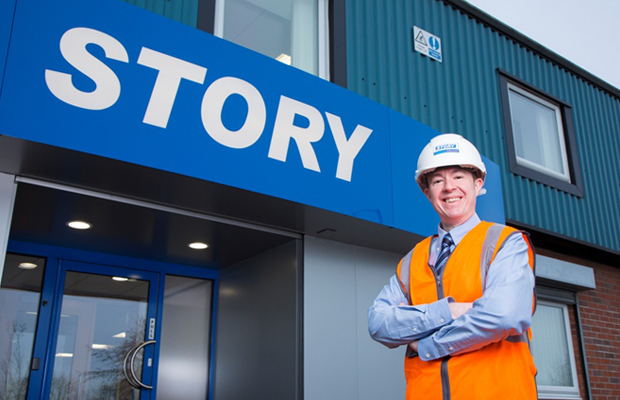 Over 120 staff joined Story Contracting in 2014 setting a new record for the number of vacancies which have been filled in a year by the company. This takes Story Contracting’s workforce to 400 for the first time in their 27 years of operating. As the company looks to build on its successful reputation in the Rail, Construction and Plant Hire Industries a focus is on building teams in Carlisle, Yorkshire, Glasgow and Edinburgh. This figure does not take into account the 58 new members of staff joining Story Homes also owned by Fred Story. Martin Jones joined Story Contracting this week as a Project Agent becoming employee 400. Working in the Rail Division, Martin will be based from the Uddingston office in Glasgow working in the growing team in Scotland. As Project Agent, Martin’s day to day responsibility will be to support delivery of projects, including health and safety, programme management and planning, monitoring project financial performance and quality of the works. An important part of Martin’s role is liaising with clients on site and off site. Martin brings with him a wealth of experience from the railway industry where his role was Construction Manager progressing to both roles of Design Coordinator/Manager and Project Manager. Prior to working in the contracting side of the industry Martin worked as a design consultant for almost 6 years. With an increased work bank over the next five years secured, the opportunities for local employment are very encouraging. The company are already in search of Plant Operators, Engineers, Site Managers, Project Managers and further Project Agents in Carlisle and further afield in their Edinburgh and Yorkshire depots.